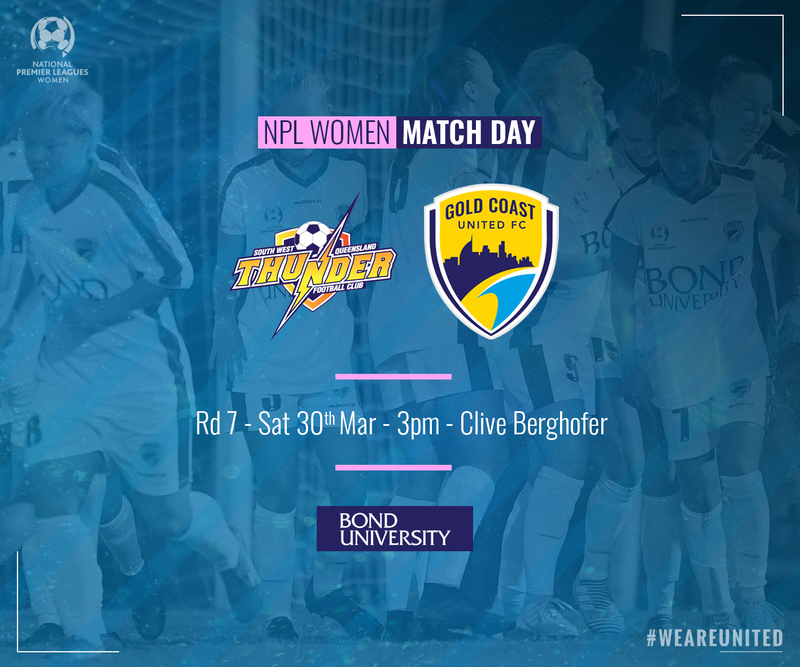 A trip up the range tomorrow for the United Women as they look to bounce back to winning ways in Toowoomba against South West Queensland Thunder. After a strong start in Rd6, a combination of Souths being very good and some below normal defending in the back end of the first half saw that game all but over at the break. Michael Cook has spent this week on those areas of last week’s performance that needed some improvement. Zoe Corbett has added some sting to the squad during her time on the park since joining the club at the beginning of the season from the Byron Bay Rams. The 23 year old’s determination and aggression bring a different edge to United’s go forward. Having begun to find her feet at this level, Michael Cook is expecting Zoe to start imposing herself more on matches and to have more of an impact moving forward. Thunder are yet to pick up a point in 2019 and have found the going tough against some of the heavy hitters of the competition. Thunder’s squad is stacked full of local talent and has a nice balance of some experienced, familiar faces including Melanie Lloyd, Jordie and Madison Franke and some younger, emerging players. At the back Liz Hollitt once again dons the gloves. United won the opener 8-1 in Rd5 of 2018 at Gatton and repeated the dose in Rd18 at Station Reserve winning that match 11-2, with Mackenzie Akins scoring 5 goals. Unfortunately no live stream of this match. If you can’t make it to Toowoomba, keep an eye on facebook for score updates on the team list post.